We are bringing joy and art to our neighbors in Eastvale, We are a Paint & Sip Company that delivers loads of fun to your guests in your private home parties. You Paint, Drink Wine and create a beautiful masterpiece. We have a Paint & sip Company local to the community, We do Private parties and also invite you to local restaurants local in Eastvale, Ca and places in our neighboring cities including, Corona, Chino Hills, Chino, Ontario, & Norco. you have probably lived in Eastvale for a long time and probably haven't visited most of your neighboring restaurants and venues, with our Painting parties being hosted by us, It would be a great Idea to join us for a paint night hosted here in or near Eastvale. Get to see new places and People from your city. You can support local businesses from your own city, Meet new friends or paint with your friends, and experience your inner creativity, let us bring out the Picasso in you. We would love to meet you in one of our events, Where we paint, drink a glass of wine, relax, unwind, and take home a masterpiece. Let's Party and Meet together all of us who live and love this beautiful city. Check Calendar for Events, or host your own private party. BOOK NOW!! OR JUST BECAUSE! We host groups both big and small (10-100 people). We can host your party at one of our venues or one of your own in Eastvale, Ca. This includes private residence and corporate office buildings. 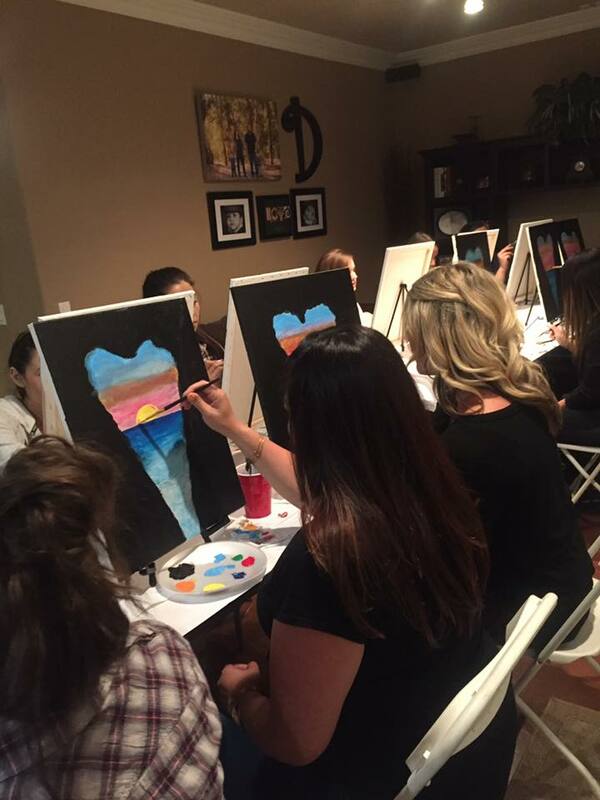 Wine and Painting parties in Eastvale, CA!Date night, any night! …get an inspirational buzz with us! There’s nothing to fear (HELLO? There’s WINE.) It’s truly as simple as paint and sip. More importantly, it’s a BLAST. And we do it every single day. Need an excuse to join us? It’s been AGES since you escaped this technology-craze and got a buzz from something other than your phone. You are Not Bob Ross, but you’ve always wanted to be! Your “date nights” lately consist of lots of binge watching on Netflix. You’re looking for any excuse to avoid another bar. Decide whether you want to sign up solo or with some pals. Find a date and time that work for you (the image featured is the one we’re teaching*). Public Events Only. Read the event details for alcohol inclusions, then register online.